Having regular scheduled maintenance and services performed on your vehicle is important when it comes to maintaining the integrity and performance of your vehicle. All vehicle manufacturers determine specific recommended intervals of maintenance in order to keep your vehicle working in top condition and to keep you safe on the road. At Babcock Auto Care in Rochester, MN, our ASE certified technicians can perform scheduled maintenance and service for all makes and models of vehicles. At our Rochester auto repair shop, we help you establish a regular maintenance schedule that works for you and your driving habits. Typical scheduled maintenance items include your regular oil changes, inspections, filter replacements, fluid exchanges, tune-ups, and more. Your vehicle’s scheduled maintenance is essentially a guide to follow that will allow you to properly take care of your vehicle. We help you along the way by reminding you of when your next service is due. 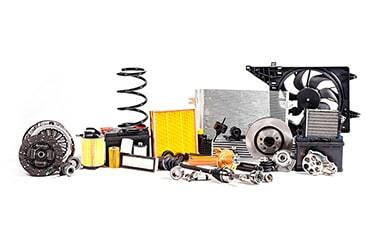 Staying on top of your vehicle’s factory scheduled maintenance will save you money over time on unforeseen major repairs that can occur with poor maintenance of your vehicle. Our experts have the experience and the tools necessary to ensure that your car is running in top condition and that you stay safe on the road. At Babcock Auto Care in Rochester, MN, we offer exceptional customer service and quality repairs. We are the real dealership alternative for all of your automotive needs. Our repairs and services are backed by an outstanding 3 year or 36,000-mile warranty. Our AAA-approved Rochester auto repair shop also has a comfortable customer lounge with free wifi and a courtesy shuttle service for local customers.